This blend of 70% Cabernet Sauvignon, 20% Merlot and the rest Cabernet Franc and Petit Verdot from Jean-Hubert Delon is a beauty. This blend of 70% Cabernet Sauvignon, 20% Merlot and the rest Cabernet Franc and Petit Verdot from Jean-Hubert Delon is a beauty. 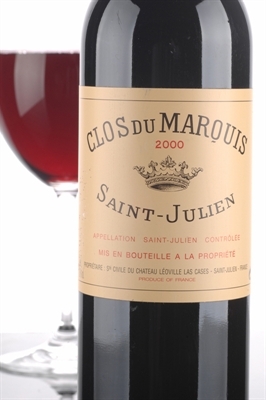 Creme de cassis notes intermixed with some vanillin, crushed rock and spring flowers jump from the glass. Full-bodied and powerful (nearly 14% natural alcohol), this is a generously endowed, rich wine that was first made in 1902.